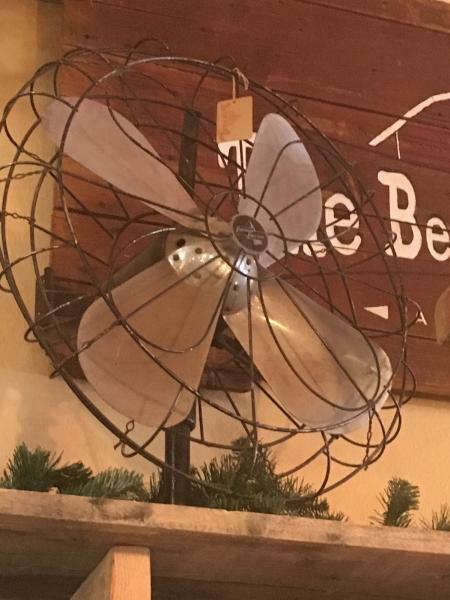 Can someone tell me about this fan? Rare? It looks like 20", maybe bigger. 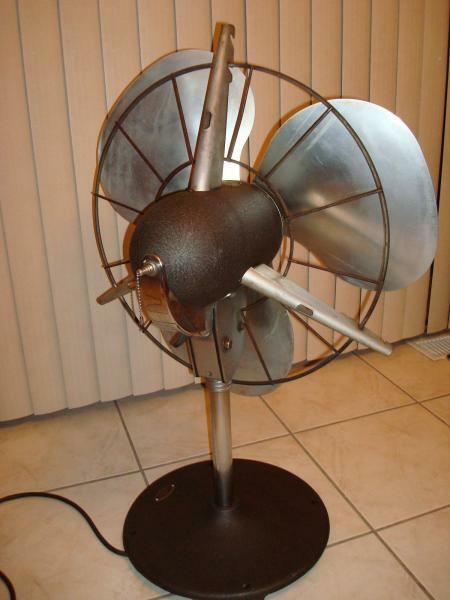 This is part of the commercial line of fans that Emerson made. I am pretty sure it's pre-1950. I don't know enough about commercial fans to know exact date.... if this is 1940's or 1930's. 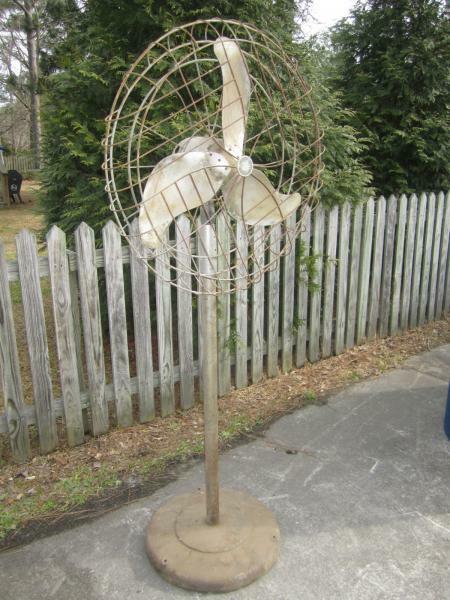 These fans were for warehouses, stores, churches, etc. They made them in pedestal model as well as "countertop" models....the one in your photo appears to be a countertop model. They are not super rare, but also not something you'll run across every day. 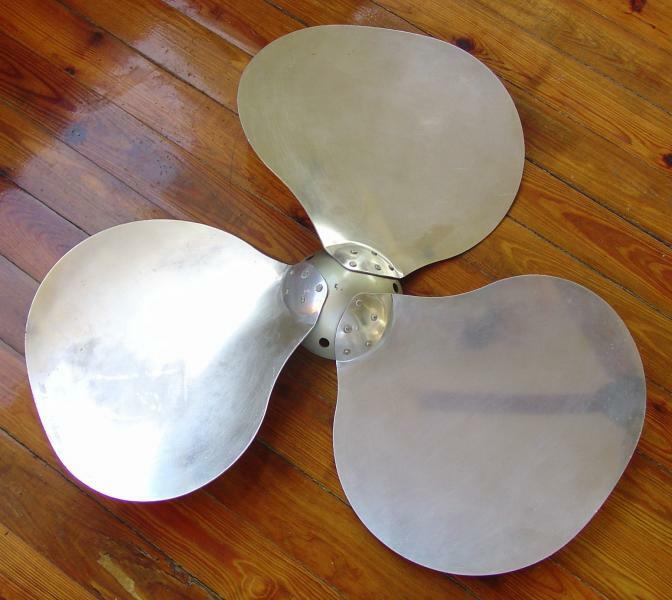 As with most Emerson fans, these are good quality fans. If you have space for it and have the price is right, you should buy it. It appears to be in good condition. This one is around the 1930's and it is a 24". I would definitely try to get it because these are very nice fans. I would price it around 150-300 but that is just me. I will ask, couldn't see the price. They have a lot of stuff with crazy prices, so might be way overpriced. They are asking $125, I was somewhat surprised. It seems worth that in my opinion, I just don't have room for that big of fan. I would pay that amount for it, those are some of the quietest fans out there. I'd buy it for that !! Stan the one I have only runs on high & it creates hurricane force winds !! my blade has seen better chrome days!! If anyone is serious about it, I can get it for them. The only extra I would charge is shipping supplies and shipping. I don't have room for fan that size. Those are nice - - and can be converted to a pedestal. i have this one in pieces, with another (later?) blade as below. Page processed in 0.2099 seconds (32% database + 68% PHP). 27 queries executed.